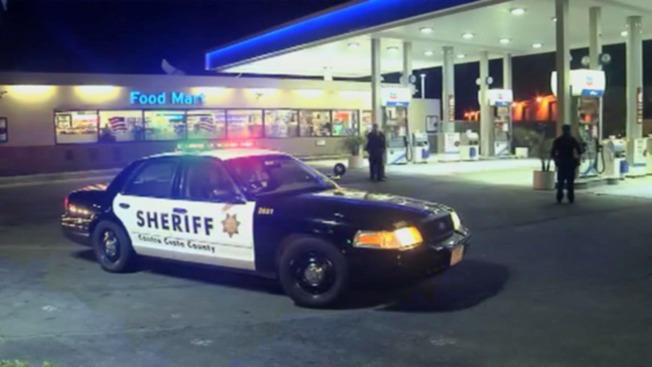 A suspect has been arrested in an officer-involved non-injury shooting that happened Saturday night in unincorporated Martinez, a sheriff's office spokesman said Sunday. Joey Carroll, 34, of Pittsburg, was arrested and booked this morning into the Martinez Detention Facility on suspicion of numerous crimes, said Jimmy Lee, spokesman for the Contra Costa County Sheriff's Office. Carroll was arrested on suspicion of stolen vehicle, possession of stolen property, evading causing injury, evading while driving the wrong way, assault with a deadly weapon, resisting and probation violation, Lee said. The case began around 8:22 p.m. Saturday when sheriff's deputies responded to a report of a possible burglary near Actriz Avenue and Arthur Road in unincorporated Martinez, Lee said. Deputies did an area check of the residence but didn't find any evidence of a burglary. However, the deputies did find an allegedly stolen vehicle near the residence. When the vehicle started driving away, the deputies attempted a traffic stop, Lee said. The vehicle led the deputies on a pursuit, pulling into a gas station on Arthur Road. When the deputies got out of their patrol cars to do a high-risk car stop, the suspect rammed one of the deputies' cars, according to Lee. A deputy fired two rounds at the suspect, who drove toward Interstate Highway 680, Lee said. The suspect wasn't hit by the gunfire, according to Lee. The suspect drove the wrong way on the freeway offramp and collided with another vehicle, Lee said. The suspect was taken into custody, according to Lee. The driver of the other vehicle and the suspect suffered minor injuries and were taken to local hospitals to be checked.